We are at that time of the year that all the festivals that we love are starting again. I am pretty sure I am not the only one when I say that, when starting the packing for your festival you pack for the sun. Not the disappointing thought of rain… However, I have learnt from this and will definitely be packing for every possible weather occurrence. We all know how unpredictable the UK can be!!! 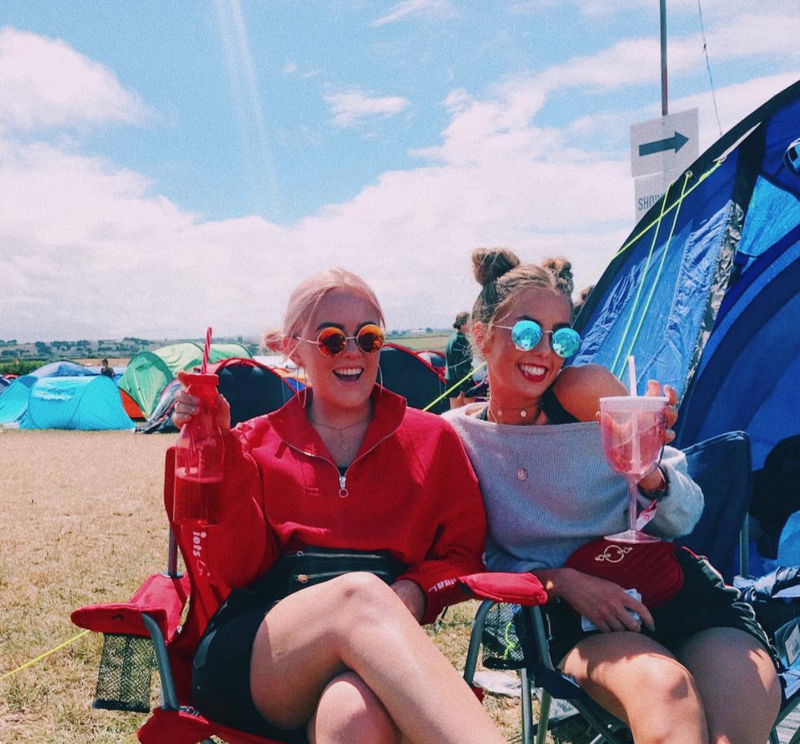 This was my first festival where I camped for 5 days, at Boardmasters in Cornwall (Newquay) and I have to say I was well and truly dead by the end of it. Although in my photos it looks overly sunny and lovely, trust me this was the only day it was like this, haha. For us girls who need to stay looking fresh throughout the weekend. I would say hair brush but for the 5 days I just went for the windswept look, haha. If only just to wipe your body down when you wake up, and make yourself feel a bit better. So handy to keep your muddy shoes and clothes in at the end of the day, and just a bit of rubbish. These are key for when the weather gets a bit rubbish I know I just wanted to stay warm and comfy. This was one of the days that I wore the comfiest outfit… it was lush! Don’t get caught short when everyone is rushing to the dirty portaloos. There is nothing worse than getting cold feet and blisters, your fluffy socks will prevent this. This will save you stumbling back into the tent at night and stepping on everything. Don’t waste your time on expensive sunglasses they will just get ruined, and probably sat on. Just an extra caution, there are plenty of fools that hang around at festivals. So prepare yourself, haha. Even if you think the weather forecast looks bright and sunny trust me you need to bring these two things, because if I didn’t have these I would have been so miserable for the rest of my time there. They are LIFE SAVERS! I clearly loved the poncho in this one, haha. This may not be something you 100% need but it is definitely nice to have. Me and my friend Liv had these cheap plastic cups that we put our cider into, and it was so much nicer than drinking from a can all the time. 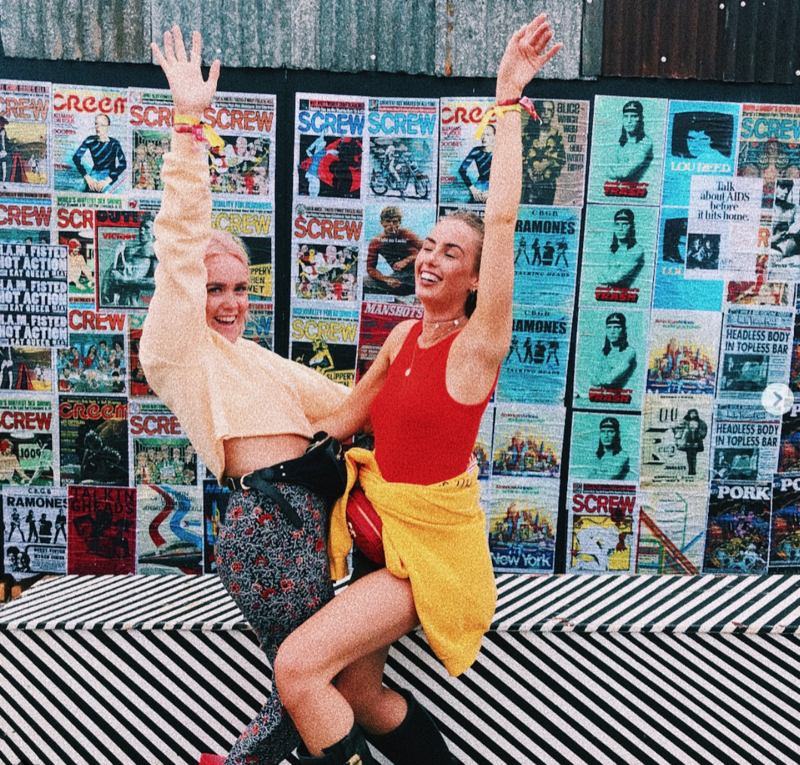 Take plenty of cash with you, as they charge inside the festival for transactions on your card and to take cash out so save yourself some pennies, and take it in there with you, just be careful where you keep it. The alcohol inside the festivals will be expensive, so prep yourself and bring your own cans. Other than all of these things have the best time ever!!! 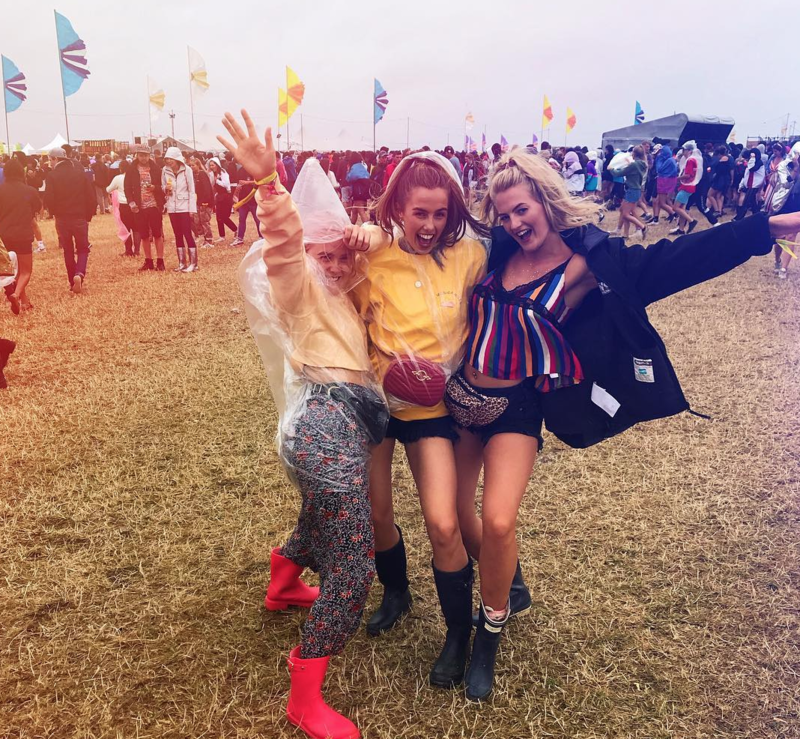 I had an amazing time at Boardmasters, but the weather towards the end of the weekend did ruin it slightly so you just need to make sure you are prepared for the bad weather, and then it passes and your forget about the rain. I hope this post helped you out, these are just a few of the things that I really needed when at a festival for the full time. Let me know if you have any you would have put on this instead as I am currently packing for another festival (Creamfields) if you have any handy tips then please leave them in the comments. Previous Post Why Love Island has taken over our lives… let’s chat! Next Post A little life update.